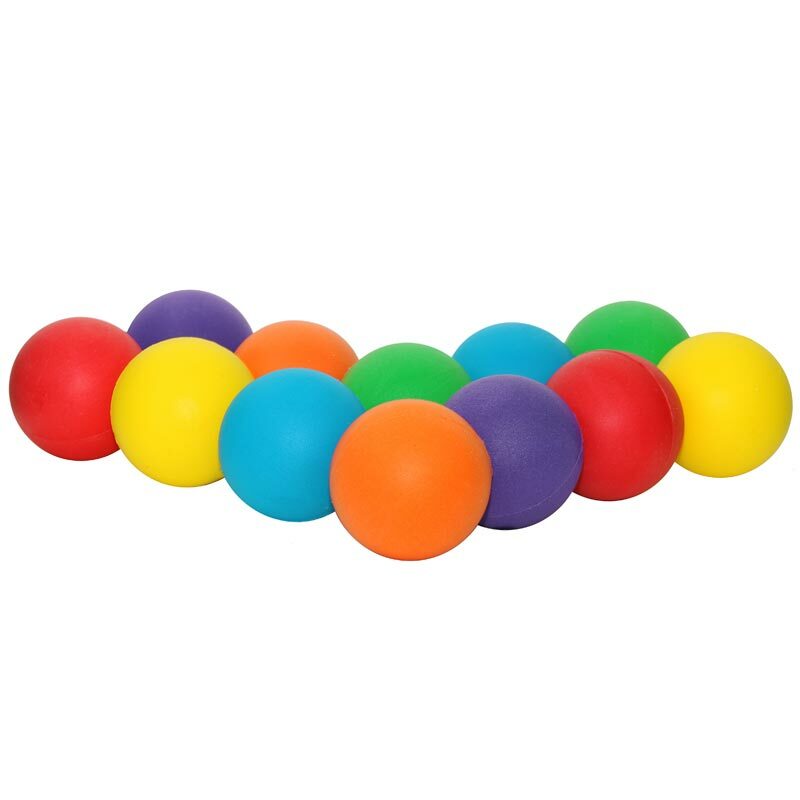 Pack of 12 7cm foam balls. I buy these foam balls for my Springer Spaniel. They fit a standard size ball thrower and are kinder (not abrasive) to teeth than tennis balls. You need to supervise play until the dog learns not to shred the foam balls but this should be the case anyway. Reasonably priced, easy website and speedy customer service always from Newitts. I would recommend to anyone. 5 out of 5 Safe for little ones. 5 out of 5 Balls to defo go for! Brilliant to go for the bigger ones. A great texture and appealing for children to work with. Durable too. 5 out of 5 Great for dogs too! I use these for my Springer Spaniel as they don't wear her teeth like tennis balls do. She has to be supervised so she doesn't shred them but they work great with a ball thrower whilst we're out walking. The balls are lightweight, colourful and durable. Great for working with young kids learning to catch a ball and tell the difference in colours. l've bought these foam balls before, and they are good value, last quite a long time, would always recommend Newitts for these products. A great foam ball suitable for all areas and indoor use. Good for uses with younger kids or where a heavier ball may not be allowed.